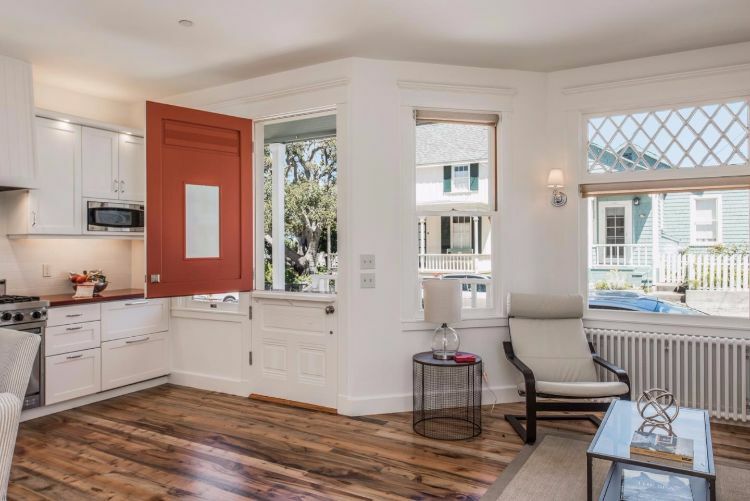 This fully remodeled Victorian home in Pacific Grove, Calif., is a tiny treasure just steps from the ocean. Built in 1908, and restored in 2011, its rich history shines though in the fine craftsmanship and unique features of each space. 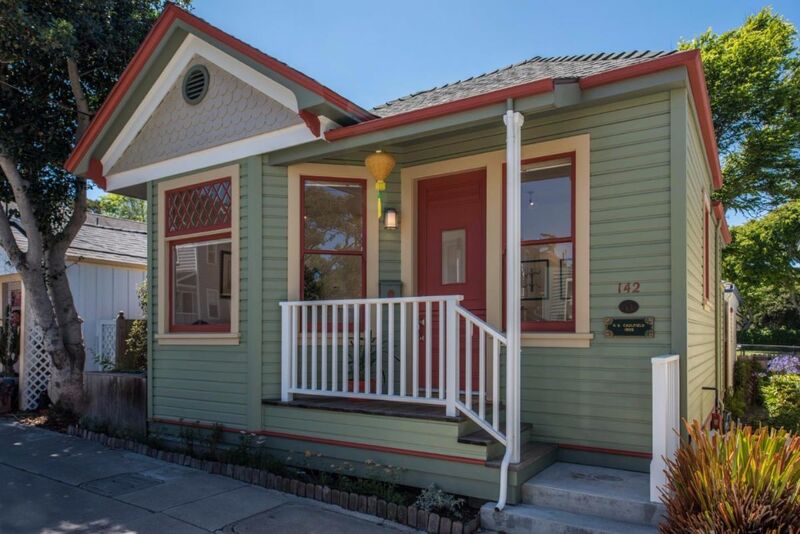 Currently listed for sale on Estately, the house was remodeled with the environment in mind. Zero VOC paint, hardwood floors from sustainable wood, and recycled material counter tops were all chosen to ensure an eco-friendly process. Check out a full tour of the interior below. 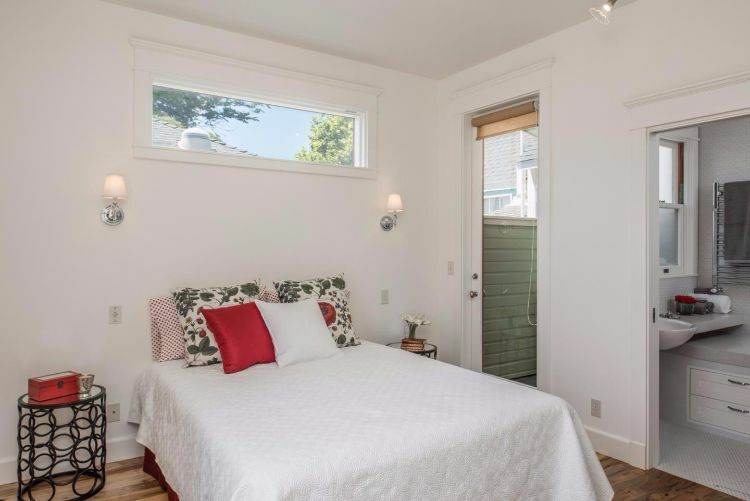 The home is a truly tiny 507 square feet, but feels spacious thanks to an open plan layout, bright white walls, and plenty of natural light. 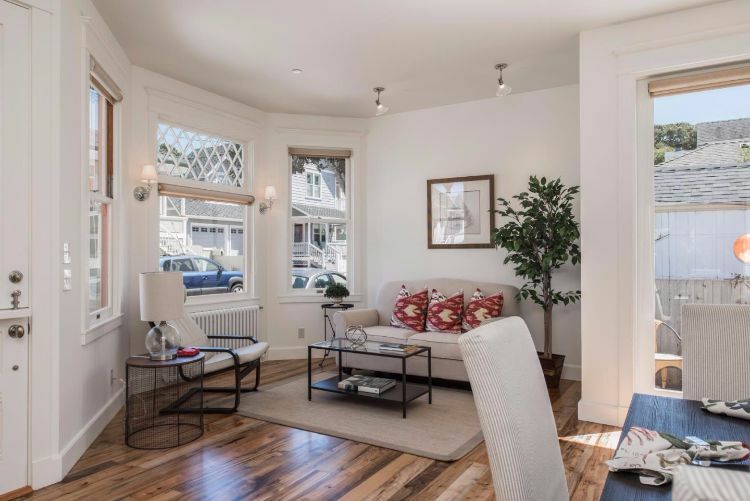 The living room features a bay window with beautiful crisscross lattice detail. The unique red counter tops in the kitchen are made from recycled materials. 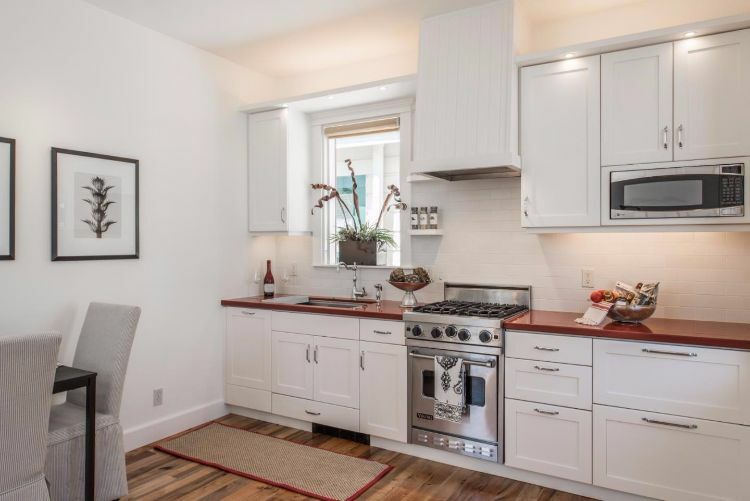 Well-chosen details like custom shaker style cabinets, stainless steel appliances, and a classic subway tile back splash make the small space feel luxurious. The charming Dutch entry door welcomes in the cool California breeze and allows beautiful views of the neighborhood. The bedroom, along with the rest of the house, features chunky door and window casings that add character and a nicely finished look. Wall sconces are great space savers in place of traditional nightstands and lamps. 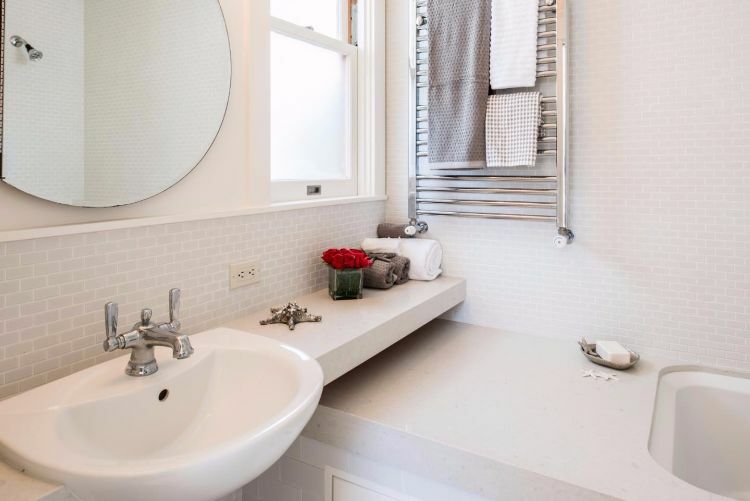 The bathroom is a modern luxury in this historic home. From the towel warmer, to the extended counter top, every detail was well planned. 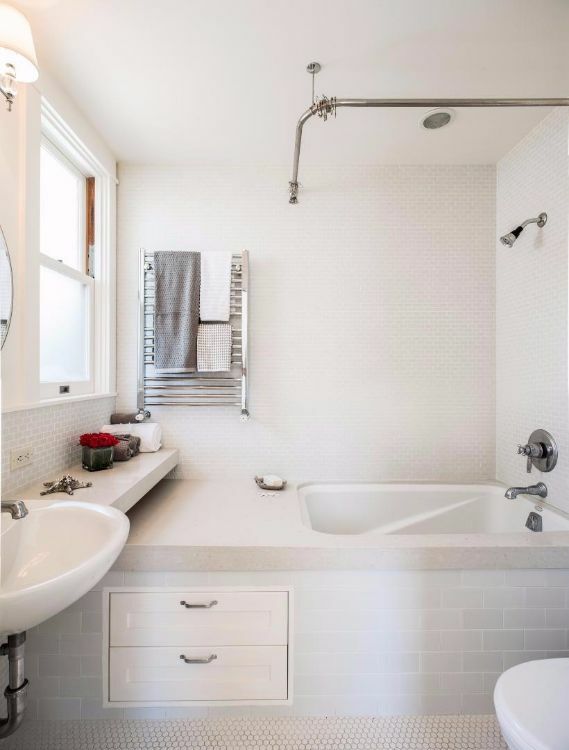 The deep soaking tub with built-in drawers is a one-of-a-kind addition to this already beautiful bathroom.